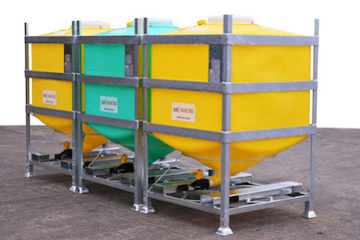 Our IBCs are of heavy duty construction available in a range of capacities, easy to clean and can be customised to promote your company or product. The versatility of the Francis Ward range ensures that all requirements can be met, whether it’s the storage of raw materials or the safe storage of finished products such as cosmetics, liquid hair products or the many lotions and potions associated with the personal care industry. Our containers can cater for either liquid or solid products and include the DG and MT ranges.